A Biography of Osama Bin Laden - "This document was given to PBS's Frontline by a source close to bin Laden who would like to remain anonymous. Frontline found it a very useful source of information, but could not independently verify much of the information contained herein. Some of the information is true. However, some of it runs contrary to accounts given by other reliable sources. That said, this document does provide some important details regarding bin Laden and his family life." Also see Frontline's Hunting Bin Laden. Al-Nusra Front - An al-Qa'ida inspired group and possible front for a branch of al-Qa'ida militants from Iraq now also operating in Syria. Also see this CNN article from Elise Labott and Tim Lister. Al-Qa'ida (The Base) - FAS backgrounder. Al-Qa'ida Statements Collection - This is a collection of 21 al-Qa'ida statements. At 131 pages long it is, at time of release, the most complete collection of statements available to the English speaking public. Normally such things are suppressed and then read only within law enforcement circles. 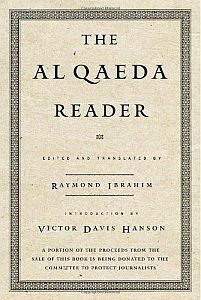 Al-Qaeda (Peter Dale Scott) - Resources on war, terrorism, Afghanistan, Al-Queda, and Osama Bin Laden. Al Qaeda: Profile and Threat Assessment - Congressional Research Service, 17 Aug 2005. Al Qaeda: Statements and Evolving Ideology - Congressional Research Service, 20 Jun 2005. Al Qaeda Training Manual - Full translated text. Al-Shabaab - Somalia-based cell of the militant Islamist group al-Qaeda, formally recognized in 2012. Controls large swathes of the southern parts of the country, where it is said to have imposed its own strict form of Sharia law. Al-Shabaab's troop strength as of May 2011 was estimated at 14,426 militants. In February 2012, Al-Shabaab leaders quarreled with Al-Qaeda over the union, and quickly lost ground. Bin Laden Is Dead, Obama Says - The New York Times coverage of President Obama's announcement of the killing of Osama bin Laden. Article written by Peter Baker, Helene Cooper and Mark Mazzetti, 01 May 2011. CIA Met Bin Laden While Undergoing Treatment at an American Hospital in July 2001 in Dubai - Le Figaro article by Alexandra Richard published on 11 Oct 01. CIA Records on Al Qaeda and bin Laden - Also see November 2017 Release of Abbottabad Compound Material. Does Al-Qaida Exist? - November 2003 article by Brendan O'Neill. FBI Ten Most Wanted Fugitive: bin Laden - Posted June 1999 on FBI website. Frontline: Hunting bin Laden - Investigates the 1998 U.S. embassy terrorist bombings in East Africa which killed 224 and injured over 5,000. The U.S. believes wealthy Saudi Arabian dissident Osama bin Laden masterminded behind these terrorist attacks. The program probes bin Laden's life story - tracing his roots in Saudi Arabia's dissident movement, his participation with other Muslims in the Afghan war, the evidence gathered about his terrorist network, and examines the motivations of his radical Islam supporters and why they want the U.S. driven out of Saudi Arabia. The investigation also examines America's retaliatory missile strikes in the Sudan and Afghanistan against bin Laden's terrorist network and talks to a U.S. Muslim community about anti-Muslim stereotyping and prejudice. Frontline: In Search of Al Qaeda (21 Nov 2002) - In December 2001, as American forces blasted mountain hideouts in the Tora Bora region of eastern Afghanistan, hundreds of Al Qaeda soldiers hastily fled, crossing over unguarded mountain trails and seemingly disappearing into thin air. What happened to Al Qaeda? Where did its members find sanctuary? Has the network been scattered and rendered ineffective - or are they regrouping and planning more attacks? And is popular support for Al Qaeda waning or growing in the countries where it has drawn its stength? Global Guerilla Financing - Article by John Robb, 28 Apr 04. Global Islamic Media Front (GIMF) - An Islamist propaganda organization that is associated with the terrorist group, Al Qaeda, and other jihadist groups. The GIMF is known by the U.S. Federal Bureau of Investigation (FBI) as an "underground media" organization. The GIMF specializes in production of jihadist material for distribution. Hezb-i-Islami (Islamic Party) - Gulbaddin Hekmatyar, an anti-American Pashtun Afghan mujahedin leader, leads the Hezb-i-Islami Afghanistan, also known as HIG, a fundamentalist faction of the mujahideen. The Hezb-i-Islami (Islamic Party) was initially one of the most disciplined of the guerrilla groups that fought against Soviet occupation. Hezb-i-Islami received millions of dollars worth of military and financial aid from the United States. On 2 July 2003, Hekmatyar urged Afghans to "cut off the hands of the foreign meddlers" and drive all foreign forces out of Afghanistan. How bin Laden Got Away - A day-by-day account of how Osama bin Laden eluded the world's most powerful military machine. Christian Science Monitor article by Philip Smucker (04 Mar 02). Inside AQ - A Window into the World of Militant Islam - Article by Richard Engel, 28 Sep 01.
International Policy Institute for Counter-Terrorism: Osama bin Ladin and al-Qaida - ICT news coverage, articles and commentary. Interview with Saad Al-Faqih - Dr. al-Faqih heads the Saudi opposition group, Movement for Islamic Reform in Arabia (MIRA), and is a widely acknowledged expert on al Qaeda. Terrorism Monitor Special Correspondent Mahan Abedin conducted this interview in London on January 23, 2004. Jihad Against Jews and Crusaders (bin Laden) - Osama bin Laden/World Islamic Front statement (02/23/98). Bin Ladin's Bookshelf - On May 20, 2015, the ODNI released a sizeable tranche of documents recovered during the raid on the compound used to hide Osama bin Ladin. An interagency taskforce under the auspices of the White House and with the agreement of the DNI is reviewing all documents which supported disseminated intelligence cables, as well as other relevant material found around the compound. All documents whose publication will not hurt ongoing operations against al-Qa'ida or their affiliates will be released. Osama bin Laden - Wikipedia backgrounder. Osama bin Laden - al Qaeda Network Government Files - 11,400 pages of U.S. government documents covering the activities of Osama bin Laden's al Qaeda. Osama bin Laden File - The National Security Archive. Osama bin Laden Profile - From the Anti-Defamation League. Also see Wikipedia. Osama bin Laden Videotape Transcript (Released 01 Nov 04) - The tape, bin Laden's first videotaped appearance since September 2003, was given to the Qatar-based al-Jazeera television network, which released a seven-minute version 29 Oct 04. On 01 Nov 04 the network released the entire 18-minute tape, and U.S. officials issued a translation of bin Laden's entire message. Osamagate - Article by Michel Chossudovsky: "Confronted with mounting evidence, the U.S. Administration can no longer deny its links to Osama. While the CIA admits that Osama bin Laden was an "intelligence asset" during the Cold War, the relationship is said to "go way back ". Most news reports consider that these Osama-CIA links belong to the "bygone era" of the Soviet-Afghan war. They are invariably viewed as "irrelevant" to an understanding of present events. Lost in the barrage of recent history, the role of the CIA in supporting and developing international terrorist organisations during the Cold war and its aftermath is casually ignored or downplayed by the Western media." Pentagon Background Briefing on Al Qaeda Terrorist Network - February 19, 2002. President's Daily Brief (06 Aug 2001) - President Bush on Saturday, 10 April 2004, became the first sitting president ever to release publicly even a portion of his Daily Brief from the CIA. The page-and-a-half section of the President's Daily Brief from 06 August 2001, headlined Bin Ladin Determined To Strike in US," had generated the most contentious questioning in the prior week's testimony by national security adviser Condoleezza Rice before the commission investigating the September 11th attacks. Dr. Rice continued to insist that the Brief did not amount to a real warning, while several commissioners seemed to think otherwise. Report of the Accountability Review Boards on the Embassy Bombings in Nairobi and Dar es Salaam on August 7, 1998 - U.S. State Department. Salon's Bin Laden Reader - Compilation of Osama bin Laden articles compiled by Salon staff. Shadow War, The - Articles in this NYT series examine the secret expansion of the war against Al Qaeda and its allies. Smoking Gun Archive - Osama bin Laden documents, including: Central Intelligence Agency's unclassified fact sheet, murder by the book, terrorism manual excerpts, and interrogating a bin Laden disciple. Terrorist Leader Osama bin Laden - A survey of the life of the al-Qaeda founder, whose death was confirmed on May 1, 2011, from Time magazine. Top Secret CIA Documents on Osama bin Laden Declassified - National Security Archive Electronic Briefing Book No. 381 posted 19 Jun 2012. Edited by Barbara Elias-Sanborn. The collection includes rarely released CIA emails, raw intelligence cables, analytical summaries, high-level briefing materials, and comprehensive counterterrorism reports that are usually withheld from the public because of their sensitivity. Today's posting covers a variety of topics of major public interest, including background to al-Qaeda's planning for the attacks; the origins of the Predator program now in heavy use over Afghanistan, Pakistan and Iran; al-Qaeda's relationship with Pakistan; CIA attempts to warn about the impending threat; and the impact of budget constraints on the U.S. government's hunt for bin Laden. UK Report on Responsibility for the September 11 Terrorist Attacks - Issued by the Office of the Prime Minister, October 4, 2001.Usama Bin Laden and Al Qaida, the terrorist network which he heads, planned and carried out the atrocities on 11 September 2001." 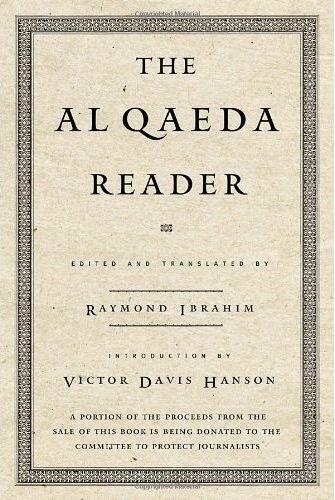 War on Terrorism: Osama bin Laden and al-Qa'ida - A select list of resources on Osama bin Laden and al-Qa'ida provided by the Joyner Library, East Carolina University, Greenville, North Carolina. Who Is Osama Bin Laden? - BBC News report, 06 Dec 2009.
Who is Osama bin Laden? - Resources, articles, and documents on Osama bin Laden provided by the Centre for Research on Globilisation. Young Osama - By Steve Coll, The New Yorker, 12 Dec 2005. This webpage last updated on Wednesday, November 1, 2017 3:06 PM.